This is some special granola, folks. Eating a bowl of Rocket Fuel Granola has the potential to provide you with the energy to tackle your toughest workouts, hardest adventures, and hectic days! Perhaps that's partly hyperbole. During that backpacking trip, where I thought a solid breakfast each morning was a good idea, I carried four pounds of granola on my back like a newbie. This seems like a terrible idea, especially since we didn't need two four-ounce bags of granola per person, per day, but on the days we ate it, we felt like we could hike for miles. This granola has sticking power, a claim to which I can personally attest. I've asked myself if I would bring it on future trips, and the answer is yes, only less of it. 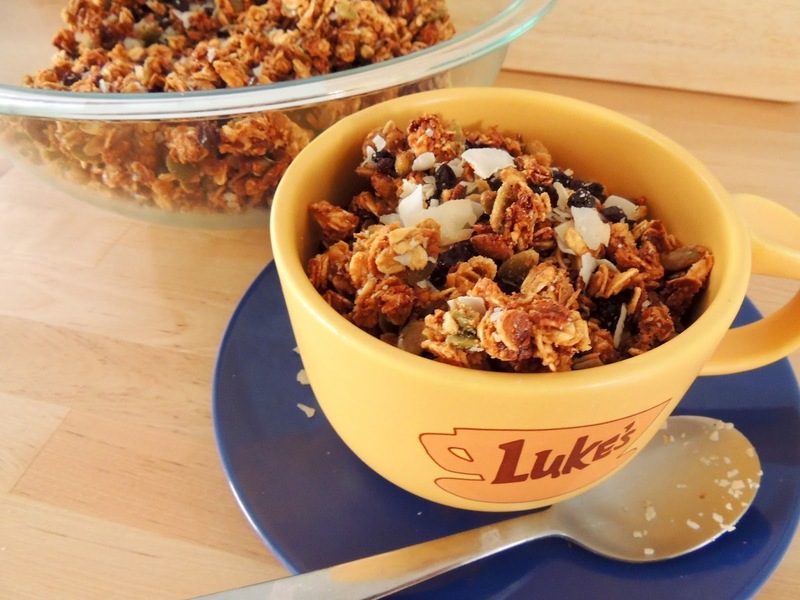 Rocket Fuel Granola is not just good for hiking, though. Alex often eats it to fuel for his long runs, and we take it to the crag for a day of rock climbing. Unlike oatmeal, I can eat a bowl of this stuff for breakfast and not feel hungry until lunch, or even longer. Granola has long been my favorite breakfast cereal since I can't remember when. Most versions aren't even really healthy, save for the oats, because of its density, but I tend to favor it for its heartiness. Store-bought granola pales in comparison.